From a sophisticated couch to a stunning art print, there are plenty of ways that you can dress up your South Side Chicago living room and instantly change its vibe. You may not realize it, but wallpaper is back in fashion and becoming another popular way to instantly revamp a room. If you’re contemplating ways that wallpaper can benefit your space, here are some options you may want to try out. Check out all of the 2019 remodeling trends here! A brightly colored accent wall may still be a popular trend, but a way to bring your wall into current fashion can be to add wallpaper. In addition to a fun print, wallpaper can instantly add elegance without overpowering the look of your living room. If you’ve come across a wallpaper pattern you like, try applying it to the front of the closet doors. It will be an easy way to dress up your doors without adding a coat of paint and will add a subtle effect that will go with your room’s decor. With wallpaper making a comeback, there are so many options that allow you to personalize your wallpaper and make the room your own. 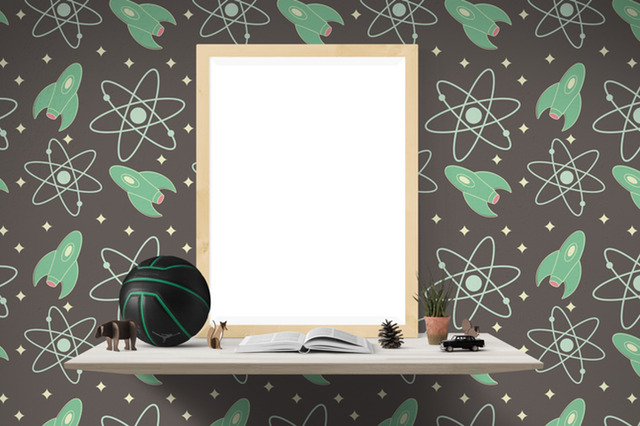 Posters of your favorite rock band may be a thing of the past, but unique wallpaper can be a great way to inject your own passions into your favorite room. Many homeowners struggle with how to dress up their walls appropriately, but choosing wallpaper can be a great means of avoiding this dilemma. Instead of an art piece, you can choose strips of wallpaper to provide visual interest or paper a whole wall that will act as the focal point of your room. It’s often the case that people buy oversized books to decorate their coffee table, but you may want to utilize wallpaper if you have a glass surface on your table. Instead of leaving your table neutral, add a patch of wallpaper under the glass for an instant designer look. With wallpaper making a comeback, there are plenty of ways to dress up your room for little cost that will make a huge difference in the look of your space. If you’re currently in the market for a new home, let’s set up a time to chat, call or text me 630-430-1091.